AMSOIL Synthetic V-Twin Motorcycle Oil MVI is a premium oil designed for those who demand the absolute best lubrication for their motorcycles.It is the result of extensive research and is specially formulated to excel in all areas unique to motorcycles, including the high temperatures of air-cooled engines, wet-clutch lubrication, extreme-pressure regions of gears and chains, and rust protection. AMSOIL 15W-60 and 20W-40 Synthetic V-Twin Motorcycle Oil (MVI) provides Indian and Victory riders the confidence and security that comes with receiving maximum protection and performance for their bikes. It presents a premium alternative to higher-priced manufacturer-branded oils. AMSOIL 20W-40 Synthetic V-Twin Motorcycle Oil was developed to cater to the increasing popularity of Victory and model-year 2013 and newer Indian motorcycles*, providing riders with the security of knowing their bike engines are protected against extreme heat, internal wear and damaging sludge and deposits. Which is better for my Victory motorcycle, AMSOIL 20W-40 Synthetic V-Twin Motorcycle Oil or AMSOIL 15W-60 Synthetic V-Twin Motorcycle Oil? Both viscosities work great in Victory motorcycles. If you currently use 20W-40 and are happy with the results, there’s no need to switch. What is the recommended AMSOIL lubricant for Victory 2013 and newer Indian motorcycles? AMSOIL recommends 20W-40 Synthetic V-Twin Motorcycle Oil (MVI) for all Victory 2013 and newer Indian motorcycles, excluding the Scout (which requires 15W-60 Synthetic V-Twin Motorcycle Oil). Do all Victory and Indian Motorcycles call for 20W-40 motorcycle oil? Victory recommends 20W-40 oil for most of its motorcycle engines. With the exception of the Scout, Indian bikes manufactured in 2013 onward, including the Chief Classic, Chief Vintage, Chieftain and Roadmaster, call for 20W-40 oil. The Indian Scout calls for 15W-60 oil. AMSOIL 20W-40 Synthetic V-Twin Motorcycle Oil is not recommended for the Indian Scout. 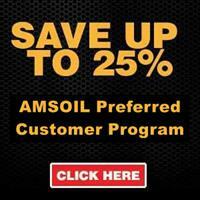 The AMSOIL Motorcycle Lookup Guide contains the most up-to-date information on product recommendations for motorcycles.